Despite all the mods it is still ‘Bultaco’. 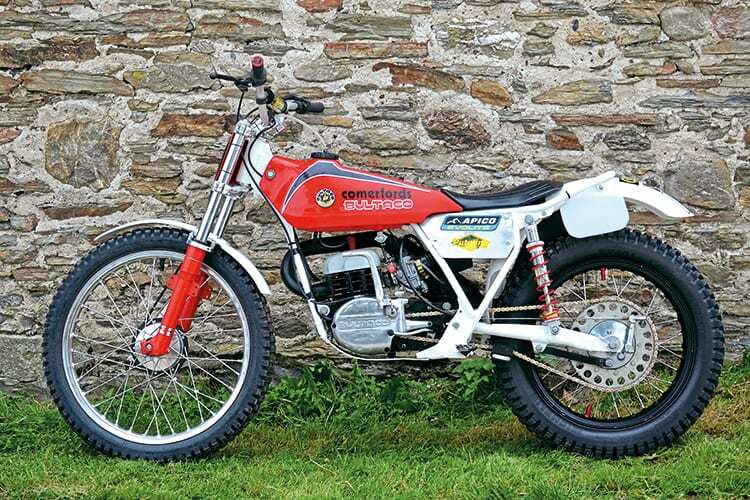 If anyone had said to me in the Seventies “what you need son is a 125…” I’d have laughed them out of the place, I knew what I needed, it was the red and black Model 199 325 Bultaco Sherpa, because that’s what ‘Vesty’ and the Lampkins were riding and winning on, or so it appeared. The thing is with the best will in the world I’m not a ‘Vesterinen’ or a ‘Lampkin’ nor I suspect are a great many other riders, but the bigger bikes were doing the winning and that’s what we wanted. In some respects this has always been the case in the competition world and despite a smaller capacity machine being available the rider would always convince themselves the bigger one would be better. The evidence to the contrary was always there as Bill Lomas beat all the big bikes on a 200cc James in the Travers Trophy Trial in 1951, just to rub things in a bit Arthur Shutt took the 1953 Scott Trial on a 200cc Francis-Barnett. Then Jim Alves started winning awards on small Tiger Cubs, Roy Peplow won the 1959 Scottish on a Cub too so the argument small bikes weren’t up to the task held little truth.